Users are still trying to figure out the latest version of iTunes. Another update, another series of changes and problems. Apple’s recent update to iTunes—version 12.2.2—made some changes, and I look at one issue when purchased content now shows up in iTunes libraries. I also examine new playlist views in iTunes 12, new music sorting in the Music app with iOS 8.4, and answer a question about buying music from the iTunes Store in other countries. Q: What’s with all these cloud icons that suddenly showed up in my iTunes library after the latest update to iTunes? Lots of readers wrote in with variations of this question. When iTunes 12.2.2 was released last week, many users found that there were cloud icons in their library, even though they have iCloud Music Library turned off. These cloud icons indicate purchased content that’s not in the local iTunes library. Apple turned on a feature that used to be off by default, causing a fair amount of annoyance. iTunes—independently of iCloud Music Library—lets you choose to display purchased content in your Music, Movies, or TV Shows libraries. There used to be a setting in the preferences for this, but this setting is now in the View menu. You can read more about this in an article on my website, but note that many users (including myself) found that they had sign out of the iTunes Store and sign in again several times to be able to turn this feature off. Q: Since iOS 8.4, music on my iPhone has been sorted differently. When I look at my music sorted by artist, a handful of albums are sorted in date order, followed by the rest in alphabetical order. How can I get all my albums sorted correctly by title? As you say, the iOS Music app now displays the year of each album in Artists view, and sorts them by year. If there’s no year attached to the music, it sorts albums alphabetically. So if some of your albums have years and others don’t, you’ll see the sort order change as you scroll down the list. The Music app now shows the year of each album in Artists view, and sorts by year. You can’t change this sort option, and to make it even more complicated, it sorts in reverse chronological order; newest to oldest. I’d rather sort the other way, or at least have a choice. Personally, I add dates to much of my music, though not to classical music. This correspondent has mostly a classical music collection, and never entered dates when he ripped his CDs, but many of those discs picked up dates together with other metadata downloaded from Gracenote. There are two ways to remedy this. The first is to edit the Year tag for all your music. This can take a long time. I add years when I rip CDs or buy music (except for classical music) and it’s quick if you do it when you rip CDs, but not so much if you have a big music collection and haven’t done this in the past. This will take a long time, in part because you’ll have to look up the release dates. The second option is to remove dates from all your music (or at least that music you don’t want sorted by date on an iOS device). To do this, select a group of tracks, press Command-I, and then click in the Year field. You can delete the date in the Year field to remove dates from your music. 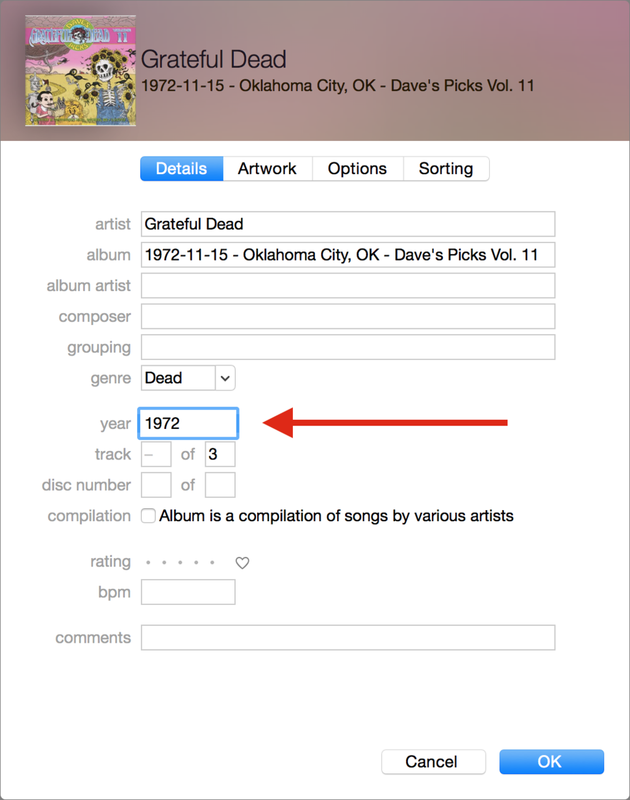 If you’ve selected multiple tracks with different dates in the Year field, you’ll only see a hyphen in that field. Delete the date, or, if you see a hyphen in the field, press the Delete key, and then click OK. iTunes will erase the dates. 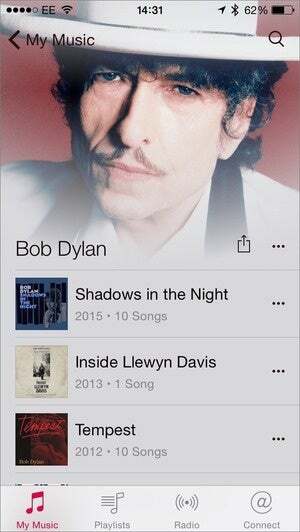 Resync your music to your iOS device, and all your albums in Artists view will be sorted alphabetically. Q: There are a couple of albums that I want to buy that are not in the US iTunes store, but are available in others, like Ireland and Poland. How do I buy over there and get it here? Unfortunately, you can’t do this. One of the advantages of the iTunes Store is that it tears down barriers, but only if the record label or distributor wants these barriers removed. I don’t know why labels don’t list their albums in all the country stores, unless there are licensing issues. Since music sold in the iTunes Store doesn’t have DRM, you could have a friend in one of these countries buy the albums for you and send you the files. They’ll have that person’s Apple ID embedded in them, however. Q: In iTunes 12, some of my playlists are shown in list form and others are shown in icon form. How can I make them all the same? 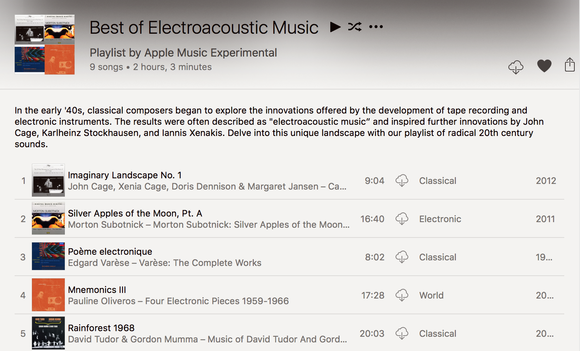 iTunes 12 added a new view called Playlists view. It just so happens that I wrote an article about the different views in iTunes this week. Songs view (above) and Playlist view (below). If you want to use the older list view, you need to choose Songs from the View Options pop-over I describe in that article. 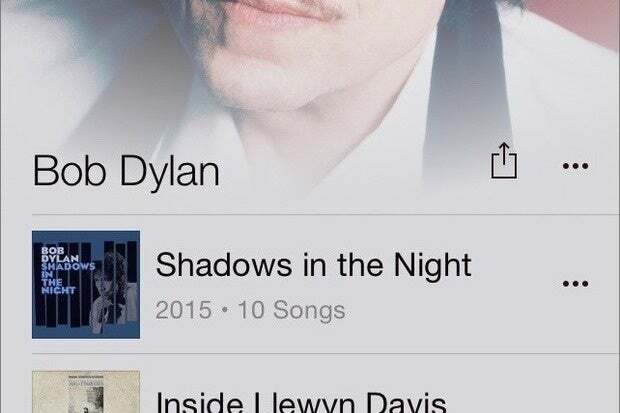 If not, Playlist view shows each track with a small album artwork thumbnail. I find that Playlist view is practical if you have playlists with music from a lot of different artists and albums; Songs view is great for playlists where the music is by the same artist, or just contains a few different albums. Have questions of your own for the iTunes Guy? Send them along for his consideration. Senior contributor Kirk McElhearn (@mcelhearn) writes The Ask the iTunes Guy column and writes about Macs, music and more on his blog Kirkville. He's also the author of Take Control of iTunes 12: The FAQ.